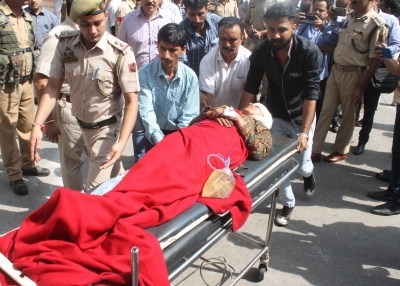 Jammu Sep 14 (IANS) Eight people were killed and several others went missing in a road accident in Jammu and Kashmir s Kishtwar district on Friday. Police said a mini bus went out of the driver s control and rolled down into the Chenab River at Thakrie in the district. "So far eight bodies have been recovered. Rescue operation is on to trace the missing passengers. "Reports indicate there were 25 passengers in the vehicle when it met with the accident" police said.